Playing - Wicketz - What is Wicketz? Wicketz is a national programme funded by the Lord’s Taverners with the aim of delivering free cricket in towns and cities where sports provision is increasingly challenging. Wicketz hubs cater for boys and girls aged 11-15 and are open to participants of all abilities. Sessions are delivered by fully qualified coaches using a variety of quick adaptations of the game and using a soft ball. The main aims of each sessions are to have fun with your friends whilst playing social cricket. 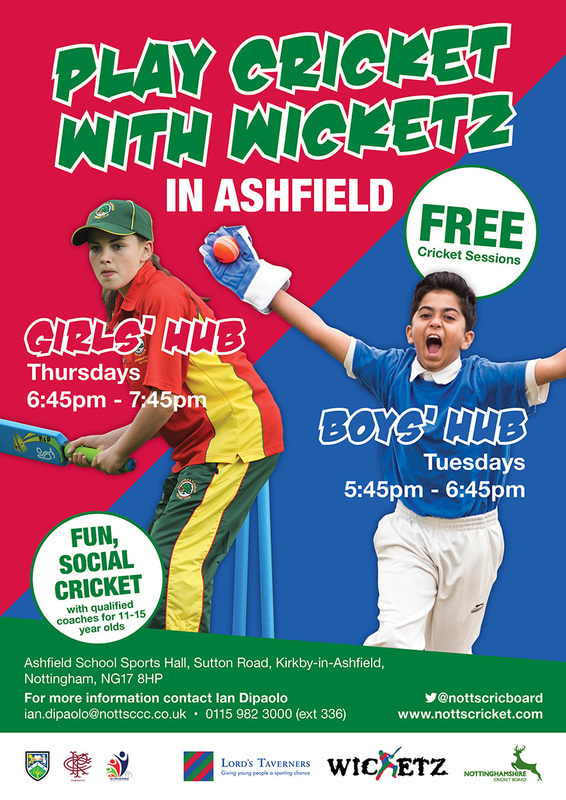 Wicketz Nottinghamshire hubs are delivered in partnership with Ashfield School, Kirkby Portland Cricket Club and Ashfield District Council. When & Where is Wicketz? Hub sessions run every Tuesday and Thursday evening at Ashfield Leisure Centre and are free. For full details download our Wicketz flyer here. Weekly attendance comes with some great incentives such as wristbands, T-shirts and training balls. 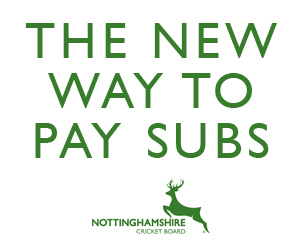 For those who are truly dedicated, the opportunity to win tickets to Trent Bridge is also on offer, as well as other great experiences including the occasional appearance from a Nottinghamshire player. Taking part in a team sport such as cricket offers many skills. It is not just batting, bowling, catching, throwing, hand/eye co-ordination and fitness that is gained by being part of Wicketz. As part of our hub sessions we will also deliver life skill workshops designed to tackle the issues faced by children on a daily basis.